In the winter of 2013, I heard a story about U.S.-backed forces burying a child alive in a remote village in Kandahar, Afghanistan. While investigating, I was arrested by forces loyal to the brutal police chief Abdul Raziq, America’s man in Kandahar. I was expelled from Kandahar and barred from ever returning. But the report haunted me, and I figured that the same phenomenon that allowed insurgents and drug lords to slip in – gross incompetence – might enable an independent journalist to return unnoticed. I spent months making calls, charting locations of every police checkpoint, and mapped a route avoiding them, all the way to the village. When I returned, on assignment for Harper’s, I travelled with my Afghan colleague through back alleys, judiciously avoiding checkpoints. We emerged onto a bridge heading out of the city when suddenly a hulking man in a bandolier stepped onto the road and stopped our car. I told him I was a journalist, but he demanded to see identification. This is always a moment of panic for freelancers the world over; we don’t have press cards, or any type of identification that can pass muster with officious local authorities. Sometimes, we get a letter of assignment, but those impress few people in places like Afghanistan, where they expect a well-laminated, official looking ID. Almost no freelancers I knew possessed such a card; in desperation, some even tried to make their own. I knew that if I tried to explain the pitiful plight of the freelancer to the gunman, I’d likely not get very far. So I fished out the only substitute I could think of: my library card. The gunman studied it, impressed by the heavy lamination, the New York University torch logo, the passport-sized photo, the fine print on the back. It was clear he could not read English. He flashed a giant grin and said, “I love journalists.” He waved us on. As any freelancer can attest, we are often not so lucky. In Iraq, I was detained by militiamen for investigating abuses U.S.-backed Iraqi forces had committed against civilians in the name of fighting ISIS. I spent hours trying to convince a gunman that I was a journalist, not a spy or ISIS operative, when he finally asked to see the last article I’d written. This happened to be the Harper’s piece on Kandahar’s murderous U.S.-backed forces – not exactly the type of story I wanted these murderous U.S.-backed forces to associate me with. I tried to dissuade him but he found Harpers.com and located my article – and realized that it could not be accessed. I’d never been so grateful for a paywall. Not long after, I became an member of the Overseas Press Club. There’s a lot to commend the OPC, such as its dedication to international news at a time when foreign coverage is eroding, and the community of foreign correspondents it fosters. But the OPC’s Press ID has become a lifesaver. With the word PRESS brandished across the top (in English and Arabic), the ID is something I wish I had earlier in my career. It allows me to cross checkpoints, enter government offices, even obtain journalist visas. But most important, the OPC Press Card gives me a sense of security. In a world that’s growing ever more dangerous for journalists, and especially freelancers, nothing could be more valuable. 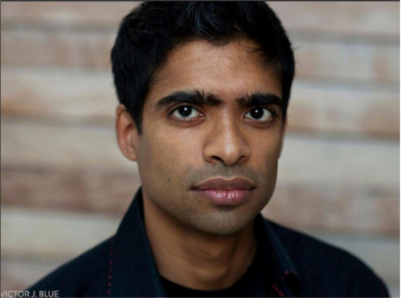 OPC member Anand Gopal is a journalist and author of No Good Men Among the Living: America, the Taliban and the War Through Afghan Eyes. He won the OPC Best Magazine Reporting Award this year for his piece “The Hell After ISIS,” published in The Atlantic.